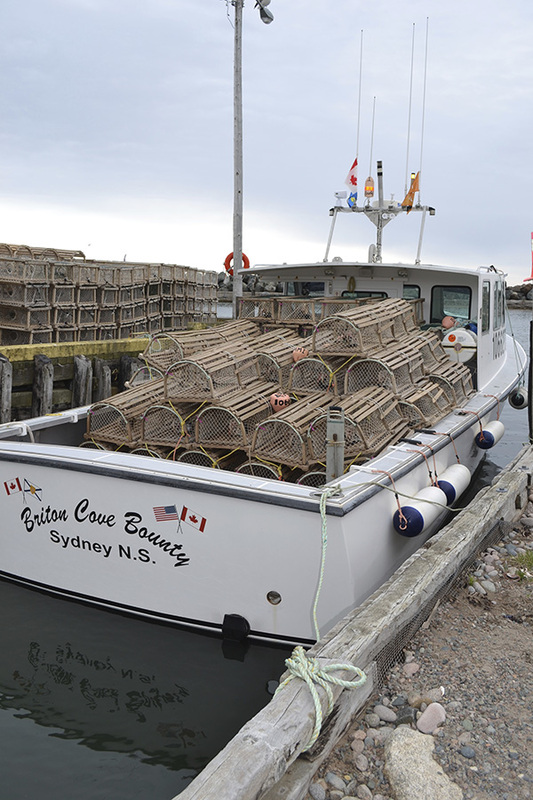 When did you start lobster fishing? I started lobster fishing about ten years ago when my dad needed some extra hands and I needed a job, then six years ago I bought my own license. Why do you stay? Well the reasons for staying keep changing. 🙂 At first I liked to fish because it freed me up the rest of the year to take other work and do some travelling. I always found myself back here for the summer fishing and hitting the beach. Then I had Aven two and a half years ago and I know that this is where I want her to grow up: close to her family and ‘in the woods’, rather than in a city. But being outside every day and seeing the sun come up, seeing the odd whale are just some of the reasons why I’ve stayed. I’ve been lucky enough to see some of the world and work in other places, but it really drove home to me how lucky we are here, and here I am! 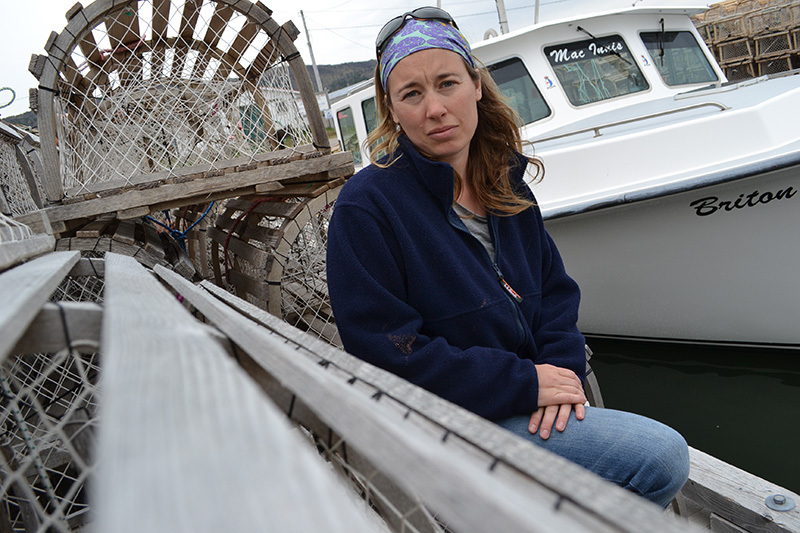 This entry was posted in Q+A, Women + kids, Work and tagged Breton Cove, Lobsterfishers. Bookmark the permalink. really really interesting and again… I enjoy your photographs very much. Both the interview and the photographs are truly beautiful. Thank you so much for this.